The Dodgers tore the heart out of Brooklyn when they left for Los Angeles after the 1957 season. Some great info on their caps from Uni Watch here and here. The team is called the Brooklyn Robins 1914-31. 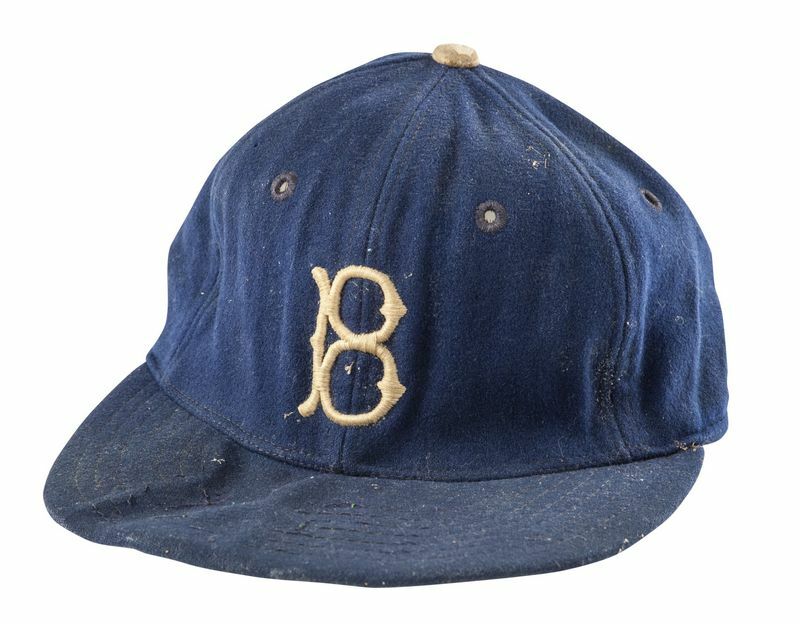 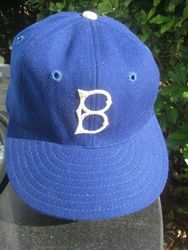 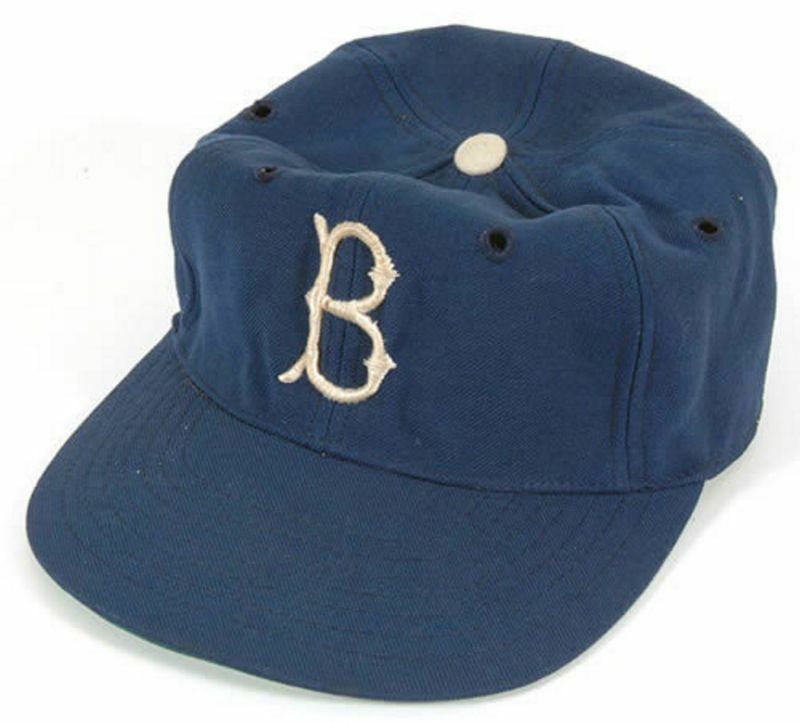 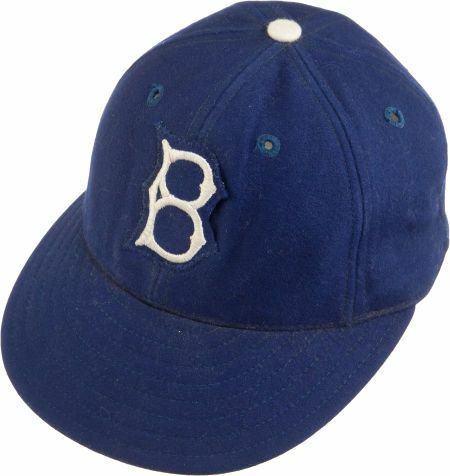 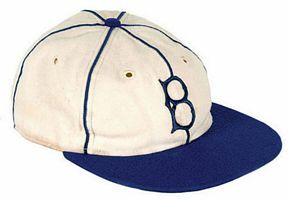 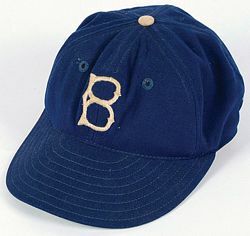 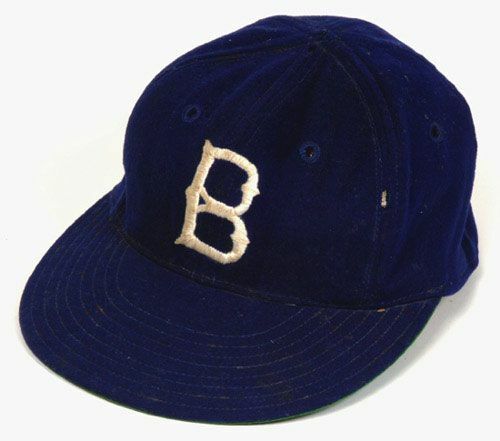 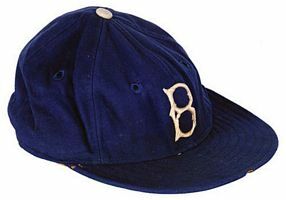 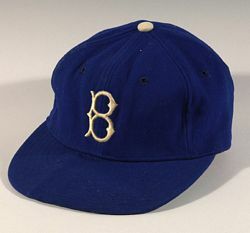 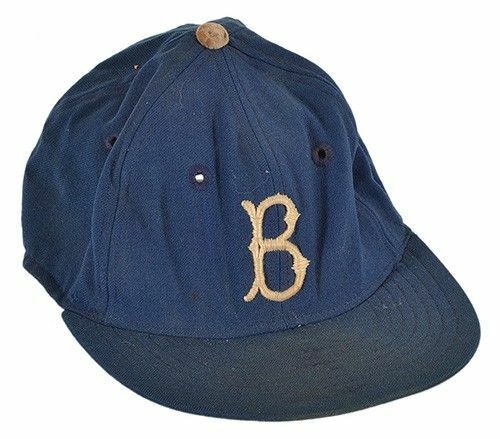 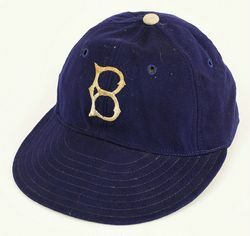 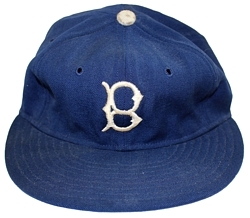 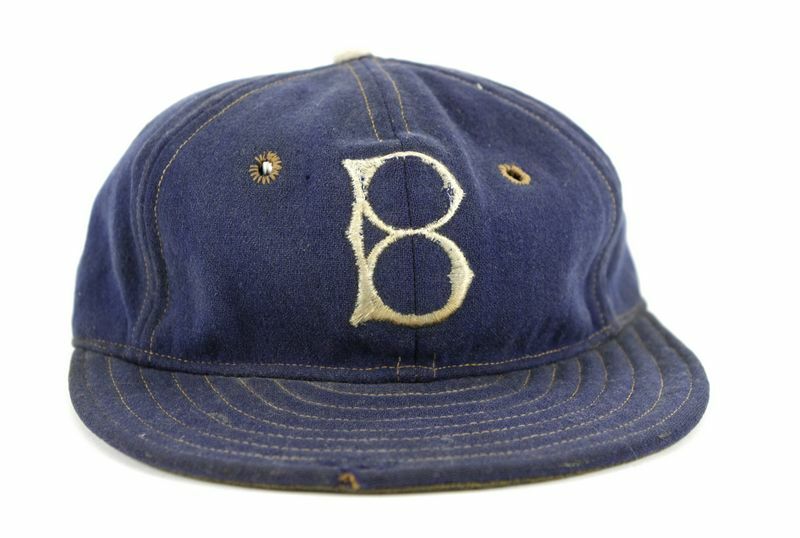 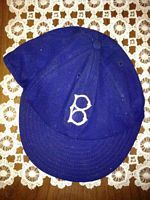 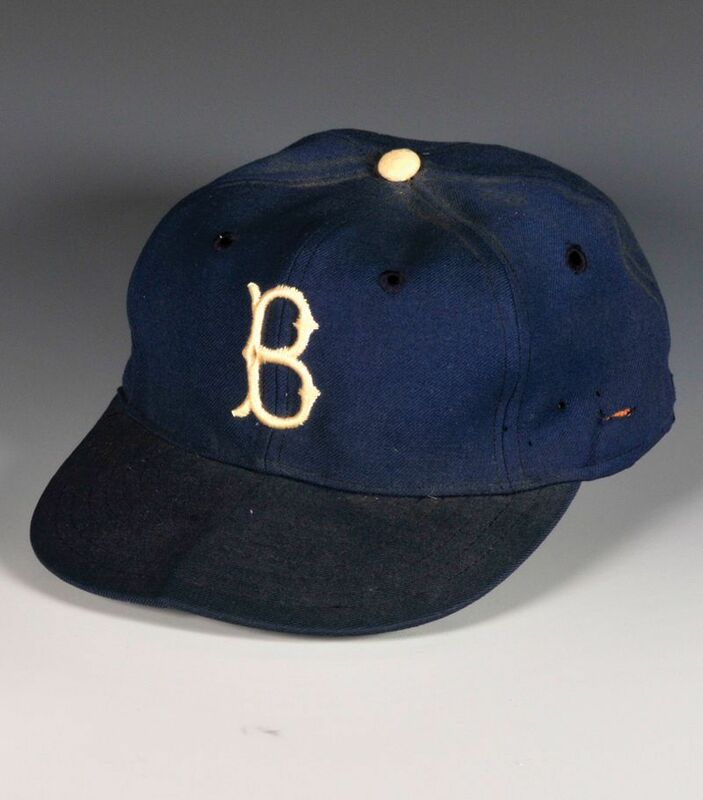 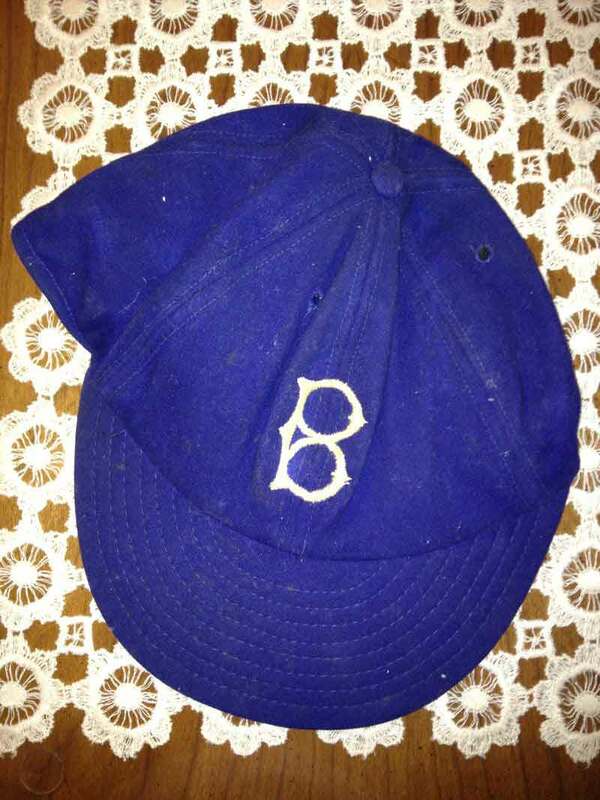 In 1938 the home cap was white, the road cap blue. 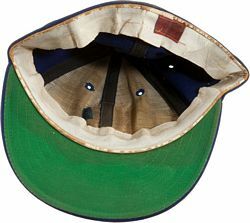 The white cap is retired after 1938. Evberyone is a capmaker for the Dodgers now. 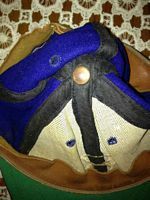 Coane supplied caps briefly in the 1940's. 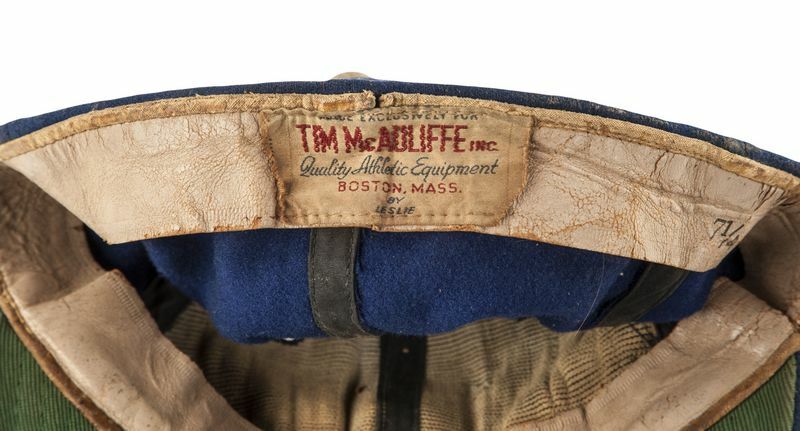 Coinciding with MacGregor being a jersey supplier in 1946-48, they also supplied caps which had a blue button instead of white. 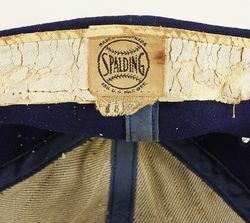 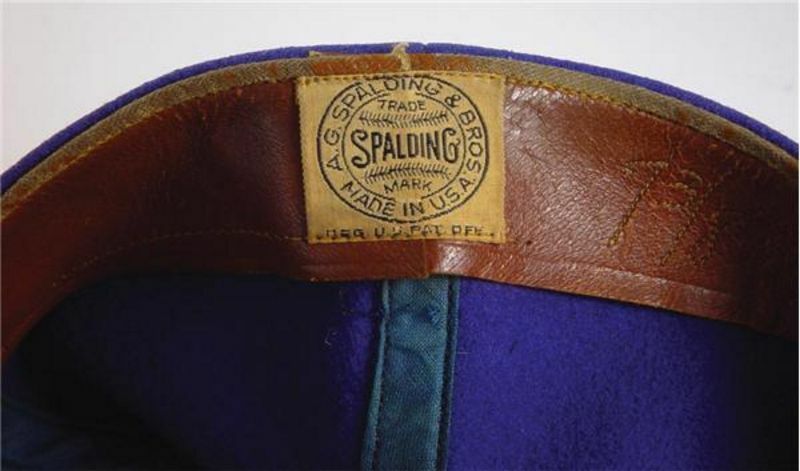 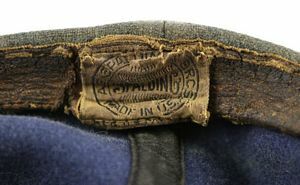 It seems mostly Spalding caps were used in this period, 1946-48. 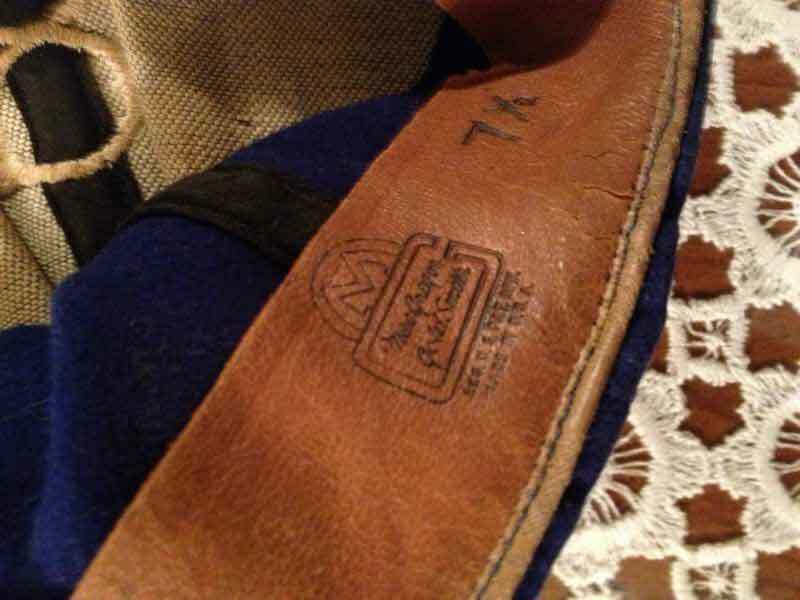 MacGregor logos were embroidered on a patch in 1948, and still had a blue button. 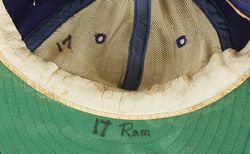 These were used, but not by many players it seems. 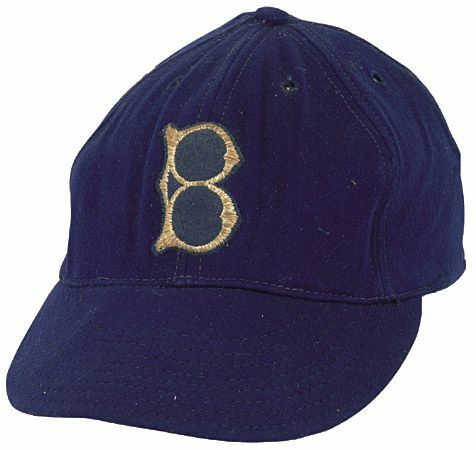 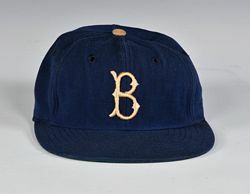 Rawlings cap logos were embroidered onto a patch in 1949-50. 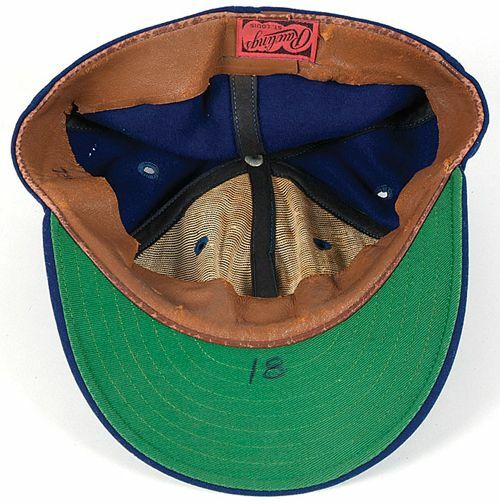 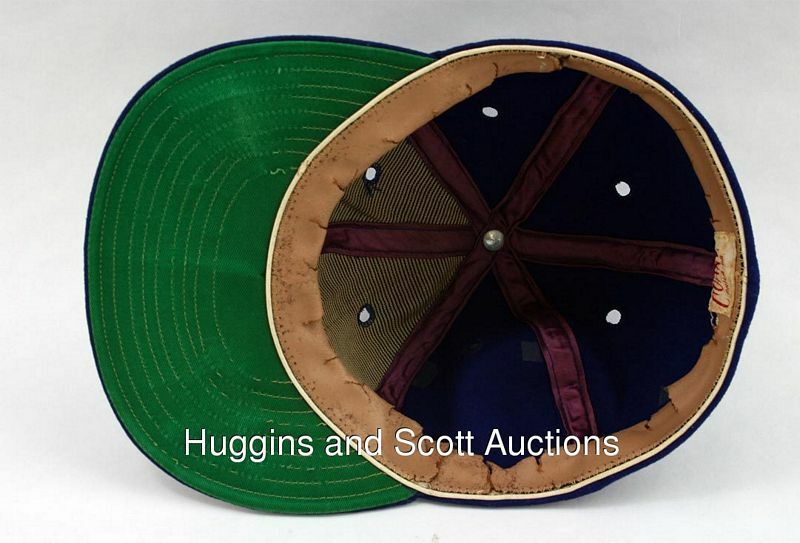 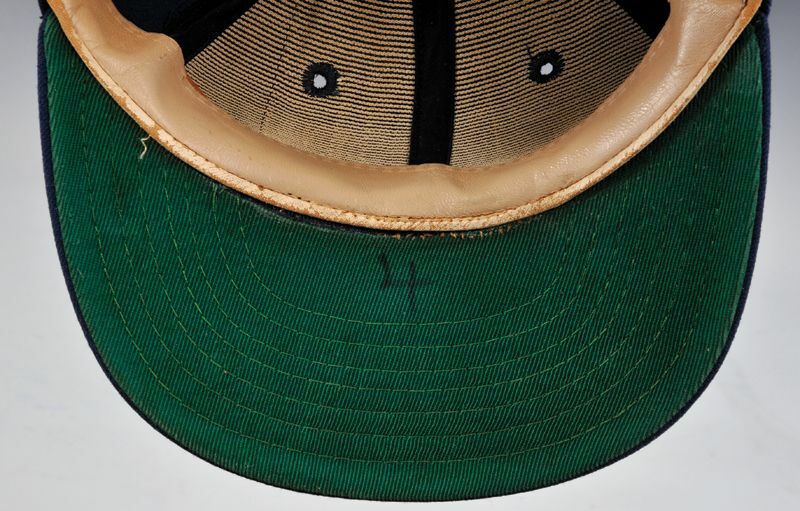 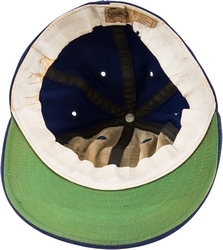 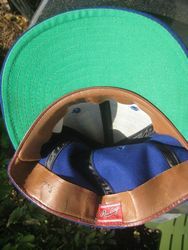 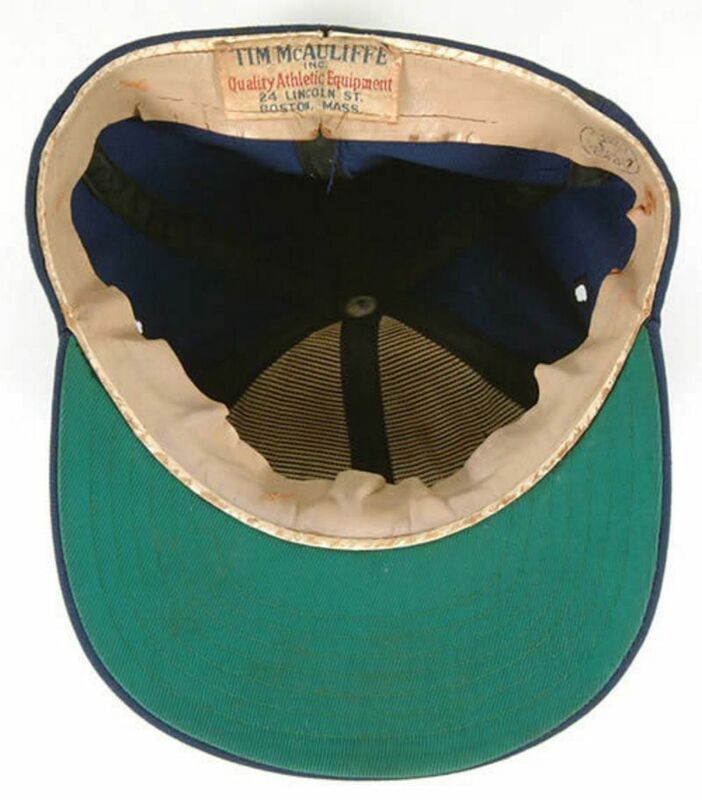 McAuliffe caps, made by Leslie, were ordered for the 1949 World Series and were used in 1950. 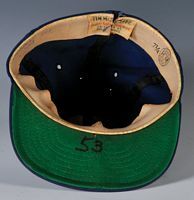 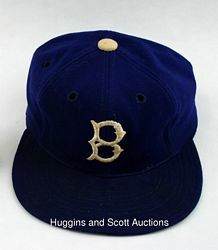 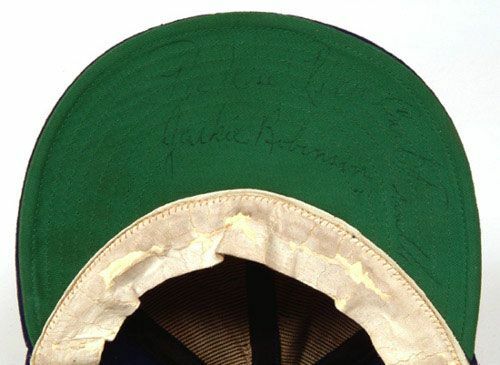 Despite the signatures, this looks like a 1950 (maybe 49) model, pre-Leslie - note 8 rows of brim stiching instead of 7. 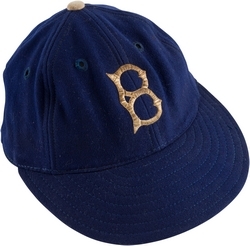 Now Rawlings logos are embroidered directly. 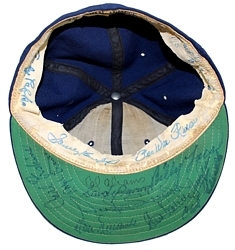 The team had Wilson caps but not sure if those were worn. 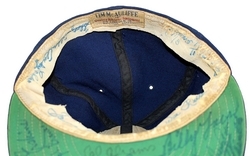 Might have just been fan giveaways. 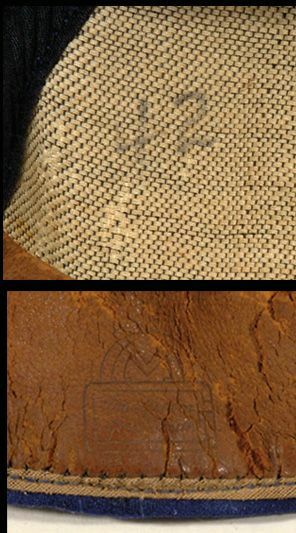 The KM Pro stamp in the sweatband first appeared in 1953. 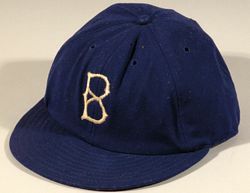 McAuliffe sadly changes to a notch-less logo which is an exact knockoff of the Red Sox logo. 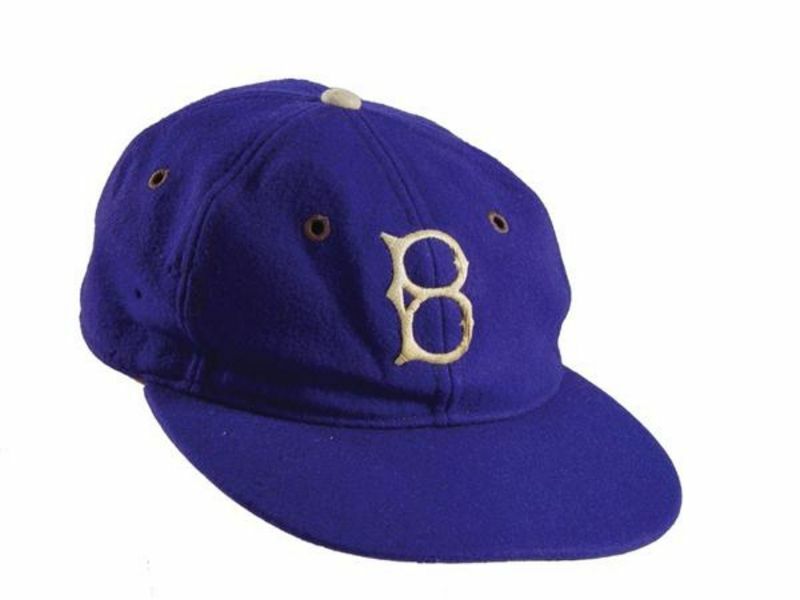 After the 1957 season the Dodgers relocate to Los Angeles.